German manufacturer be quiet! 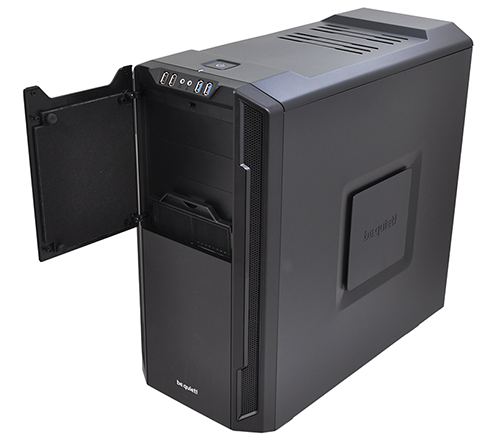 may be best known for its high-quality power supplies and premium CPU coolers, but the company is beginning to diversify and, having entered the PC chassis market late last year, is this week stepping up its efforts with the launch of a second solution dubbed the Silent Base 600. Introduced as a smaller, more affordable alternative to the existing Silent Base 800, the new model shaves off some of the excess to deliver many of the same features in a more compact enclosure priced from £79. 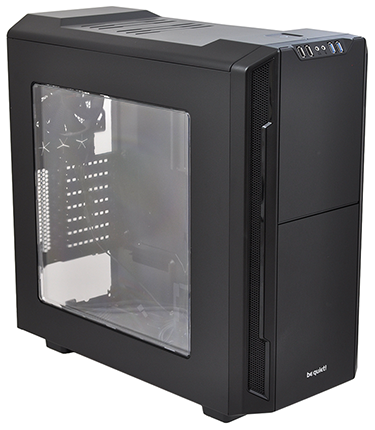 The MSRP makes Silent Base 600 around £15 cheaper than its bigger brother, but the cost saving is negated if you opt for the £94 windowed model (pictured). Colour choices maintain continuity between models, with be quiet! making available three options at the same price point - fully black, black with silver accents and black with orange accents. We're secretly fond of the latter and consequently a tad disappointed by our relatively plain review sample. One of the first things you notice is that be quiet! has really made an effort to shrink the chassis down to size. 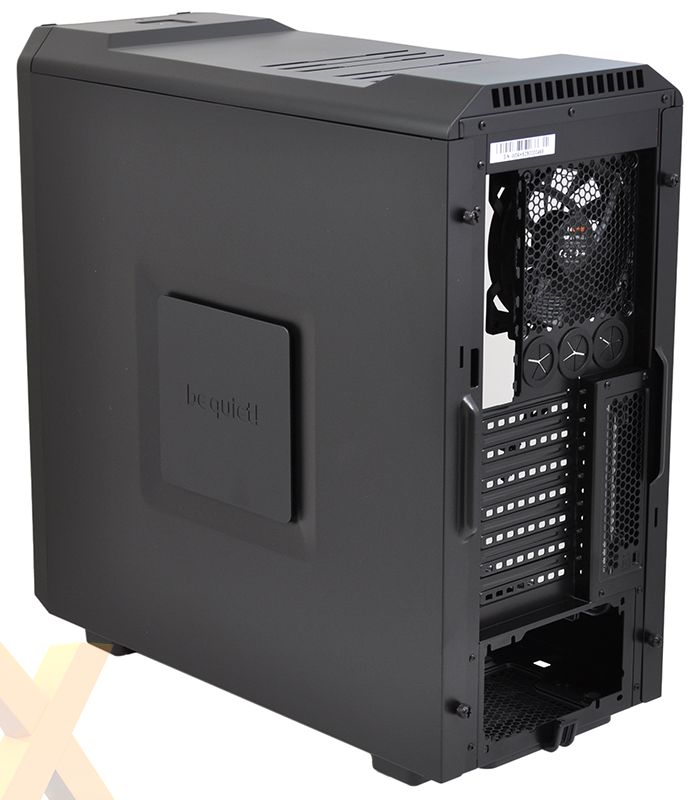 Overall dimensions of 495mm (L) x 230mm (W) x 493mm (H) make the Silent Base 600 a good 66mm shorter than its sibling, which is interesting when you consider that both chassis are mid-tower solutions with similar feature sets. Yet, while the smaller size will be seen as a positive for users with space restrictions, it has left the chassis looking somewhat formulaic. Whereas Silent Base 800 came across as a tall, elegant solution carrying clean lines and subtle gaming highlights, Silent Base 600 struggles to continue that theme and doesn't have a unique feel about it. In contrast, it's short and stout and the dip in the top panel doesn't look quite right. Aesthetics are of course a personal preference, but we feel confident in stating that the taller model is the more stylish of the two. Build quality remains solid throughout, with be quiet! opting for moulded plastic accents (top and front) around a 0.7mm-thick steel central frame, and there are small openings for airflow in all the usual places. Half-a-dozen slits at the top of the chassis provide ventilation for any optional top fans, while slim angled vents either side of the front panel allow a certain amount of air to reach the bundled front intake. Although seemingly counter intuitive for a quiet PC, the main side panel is outfitted with a large window that be quiet! tells us is double-glazed and able to offer "superb soundproofing." We're not convinced it'll be as quiet as a solid steel panel lined with sound-absorbing material, but it does offer a good view of almost all the internal cavern and with a gaming audience in mind, it makes perfect sense to have a windowed option. The rear side panel is lined with sound-absorbing nylon and carries over the same square central cutout as the Silent Base 800. 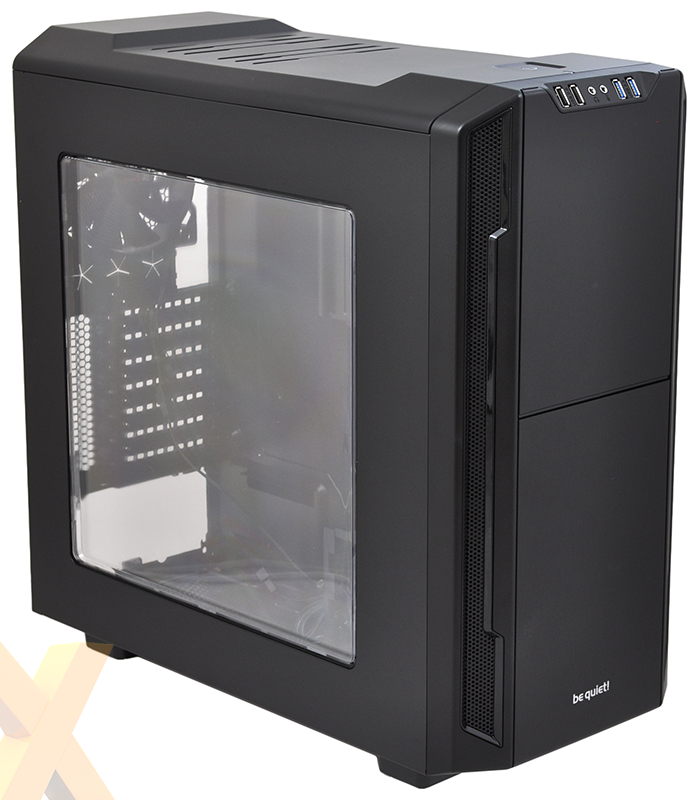 This can be made to jut out, leaving a path for airflow, and also has an optional 120mm fan mount. You're probably wondering why you'd want on a fan on the back of the case. 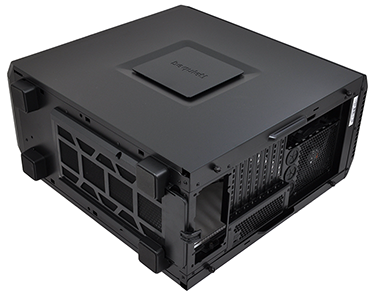 We were left pondering the same thing, and the only answer we could come up with is that the square accent on the side panel would maintain symmetry on a window-less version of the case and provide greater cooling potential for GPUs. 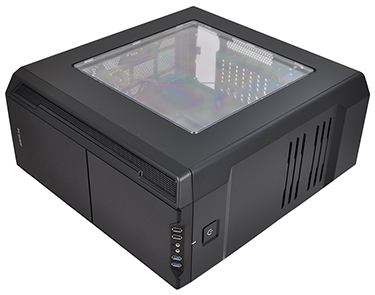 On a windowed Silent Base 600, the rear cutout doesn't make a whole lot of sense. The bulk of the exterior action takes place at the front of the enclosure. All the I/O ports are lined-up in a row across the top-front edge and include two USB 2.0 ports, a pair of audio jacks and two USB 3.0 ports. We reckon it's time all external USB ports were of the SuperSpeed variety, but be quiet! 's selection is common fare for a modern chassis. The large backlit power button is positioned on top of the case and we like the fact that the small activity LED doubles as a reset button. Beneath the I/O ports is a magnetically secured door that can be reversed to suit your orientation of choice. The door's plastic hinges still feel a little fragile - as they did on the Silent Base 800 - but it's a neat way to cover the optical bays and maintain the chassis' tidy exterior. New to the Silent Base 600 and positioned behind the door is a small toggle switch for a built-in three-stage fan controller that supports a trio of fans. Also accessible from this area is a pull-out dust filter that lifts up to be removed, yet while the mechanism works we'd have preferred a push-to release front cover, enabling easier access to the filter and the fans. As it stands, getting to the front fans entails removing the entire front panel, which is fiddly and time consuming.